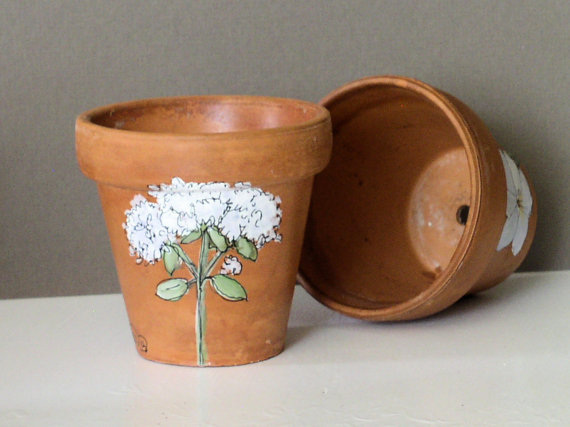 Herbs painted on a nature clay pot for woodland garden and herb lovers. The front is a botanical garden white flower with a tinge of blue and the back I painted lambs ear leaves. Perfect for farmhouse and cottage decor. Great for housewarming mom and Easter gifts. This vintage clay pot is from the 80's when I owned a flower shop and recently uncovered a box with a bunch of clay pots inside. 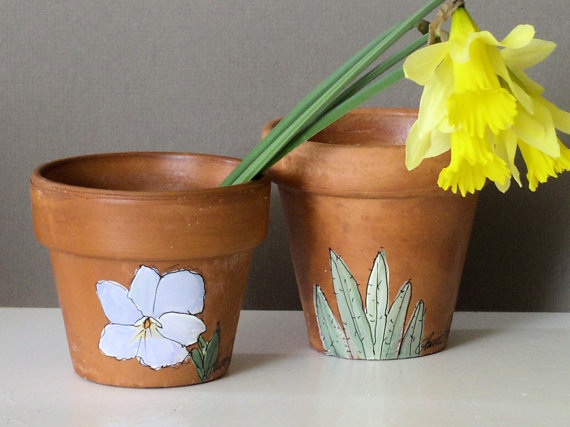 I painted these pots for my shop and my clients loved them so I am doing it again. I hope you love them too. Measures: 3"h x 3" diameter clay pot. Shown with other options. This listing is for the herb pot.